After all the tears, heated words and passionate cross examinations, a verdict has finally been reached in the Gucci vs. Guess copyright case, reports WWD. Gucci has won the three-year-long legal battle over a Guess logo and diamond pattern that the luxury brand says are direct copies of Gucci trademarks. But while Gucci may be the victor, the company isn&apos;t exactly raking in the dough like they expected. The judge awarded the label only $4.7 million of the $221 million they had asked for from Guess and footwear licensee Marc Fisher. Along with the settlement, Gucci was also awarded a permanent injunction barring Guess from using the Quattro G pattern, the green-red-green stripe and other square G marks. The verdict, it should be noted, found that Guess&apos; and Marc Fisher&apos;s products were likely to cause trademark dilution, not, as Gucci had claimed, that they were knockoffs. 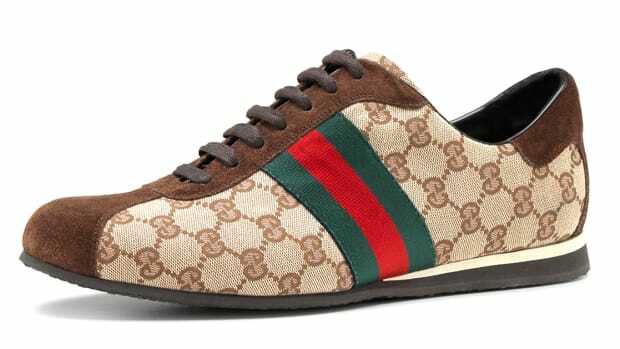 According to residing Judge Shira Scheindlin, “courts have uniformly restricted trademark counterfeiting claims to those situations where entire products have been copied stitch-for-stitch.” This could explain why the settlement sum was so much lower than Gucci&apos;s asking price. Even though the case did not result in a huge financial windfall, it is likely to have greater ramifications in the fashion industry, creating stricter limitations on the use of patterns that could be considered similar to another brand&apos;s. Which means we can expect similar trademark infringement cases to start popping up soon. Despite the fact that his company will only have to fork over $4.7 million--a paltry sum in the world of business--Guess&apos; CEO Paul Marciano is not happy with the verdict, or with the court case itself. “I believe Gucci is currently court-forum shopping to find a friendly court but Guess will vigorously defend our rights in every jurisdiction," he added. Does this mean we can expect another courtroom battle between the two brands in the near future? Possibly. And, from what it sounds like, Guess isn&apos;t exactly erring on the side of caution. Marciano told WWD that Guess would still use the offending pattern, but without the signature "G"s incorporated into it. We, for one, are going to miss tuning in to the always-entertaining courtroom drama.